Cung chuc tan xuan! Xin nian kuai le! Growing up, I took for granted that we would always celebrate Lunar New Year by going over to our grandparents’ house, where my grandfather would put on his traditional blue robes and gift us with lucky red envelopes after we had wished him “prosperity, happiness, and more than 100 years of long life.” He never seemed to mind hearing that over and over ;). I did not realize then how much I had internalized or how much I would miss the traditions my parents sought to pass on to us, even as they lamented how U.S. celebrations paled in comparison to their memories. I used to dress up with my friends in grade school and give our classmates a mini-presentation on Lunar New Year traditions and foods. I should have had an inkling then of how much I had absorbed. My first lunar new year away from my family was buffered by being in Boston, where there was a vibrant Asian community and college student groups got together to share the holiday. In medical school, however, I had a taste of the disappointment my parents likely felt the first time they celebrated after leaving their homeland. While I was excited by the holiday and its associations with spring (in California, anyway), my classmates were surrounded by snow piled several feet high and oblivious to why they should think about wearing red or eating noodles, sticky rice cakes, or dumplings. So…I took matters into my own hands, and decided that I would cook as much as I could on my own. 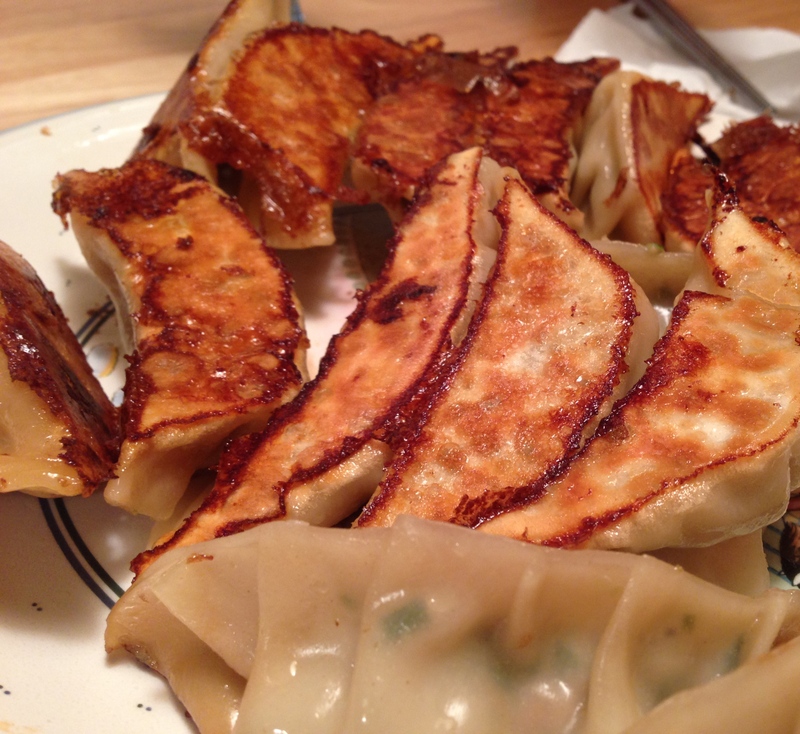 I spent an entire day making nian gao, luo bo gao, jiao zi, abalone, fish, noodles, chinese broccoli, and cha gio. It was a little crazy, but the best form of procrastination I could have wished for, and brought the holiday spirit even all the way out to the snowy tundra. 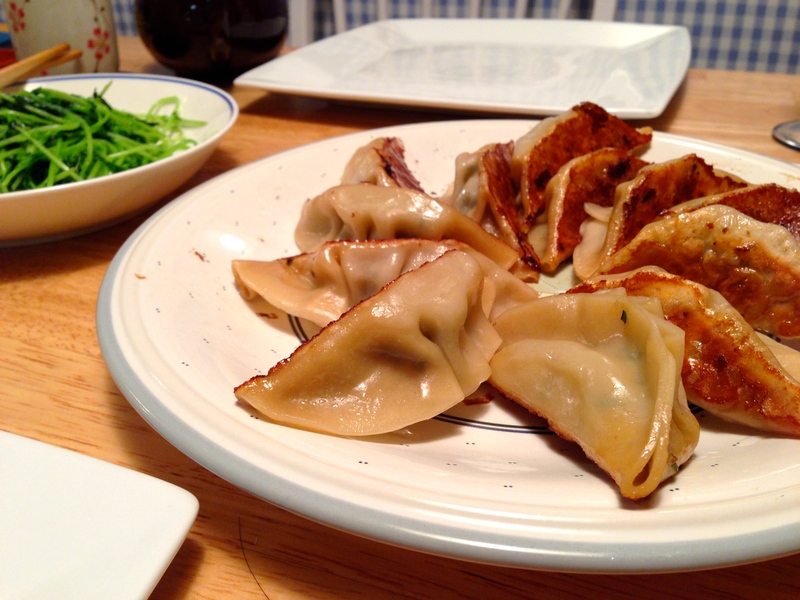 J loves dumplings so much that he has a bottomless stomach for them, so we made a batch a little while ago. It seemed appropriate to make some today, and perhaps to share our recipe version. 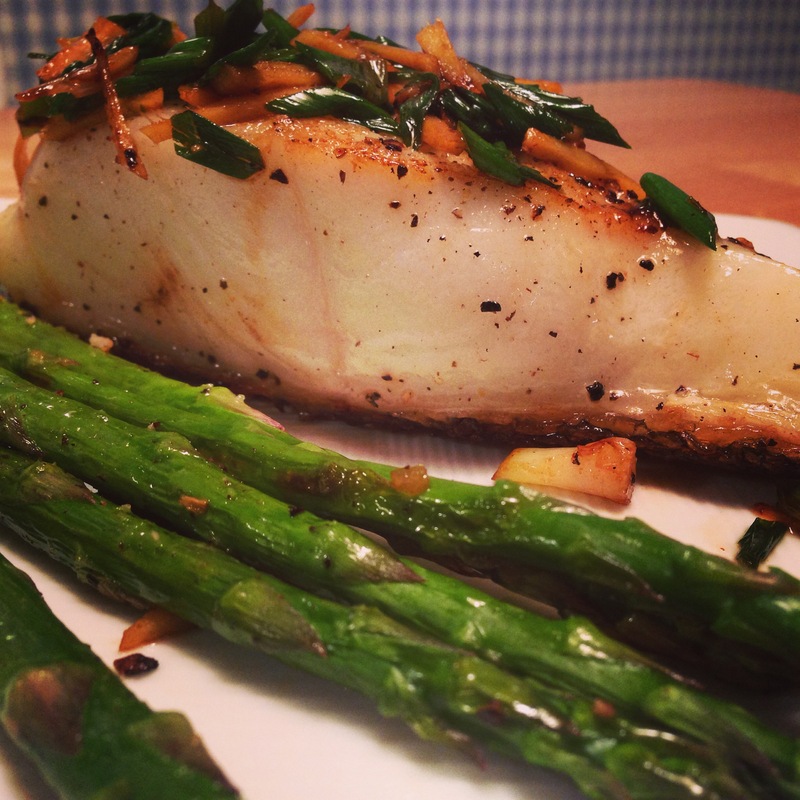 As with many home recipes, quantities are more like guidelines and should be adjusted to personal preference. Lightly salt chopped cabbage and set aside for about 15 minutes at room temperature. Squeeze cabbage in a cheesecloth, clean dish towel, or your hands to drain excess water. Combine pork, shrimp, napa cabbage, chives, and ginger in a large mixing bowl. 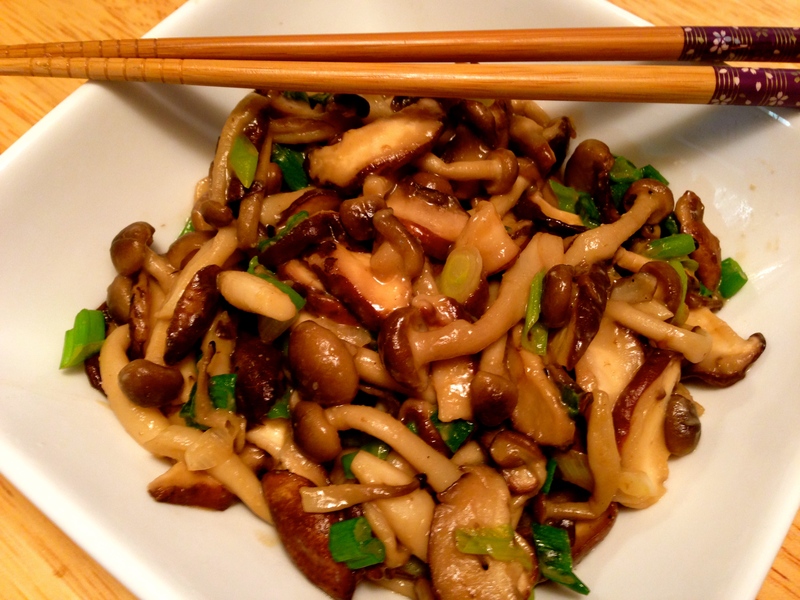 Season with oyster sauce, soy sauce, Shaoxing wine, sesame oil, and sugar, using hands if necessary to mix very well. Check seasoning by cooking a small dollop of the mixture in a skillet over medium heat. Adjust with further salt, sugar, and pepper to taste. To cook, you will need to cook in batches since they can only be cooked one layer at a time. Heat 1-2 tbl canola oil in a nonstick pan (ceramic, cephalon, etc) over medium high heat. Place the dumplings in one layer (flat side down) into the pan. They should sizzle! Let the dumplings cook about 2-4 minutes so that the bottoms become golden brown. Add enough water so that there is about 1/4 inch of water in the pan, cover, and reduce heat to medium. Cook for another 5-7 minutes, or until the water evaporates and you again hear the sizzling. Serve hot, with soy sauce, which can be mixed with black vinegar, sesame oil, hot chili sauce, chopped ginger, garlic, and/or scallions. 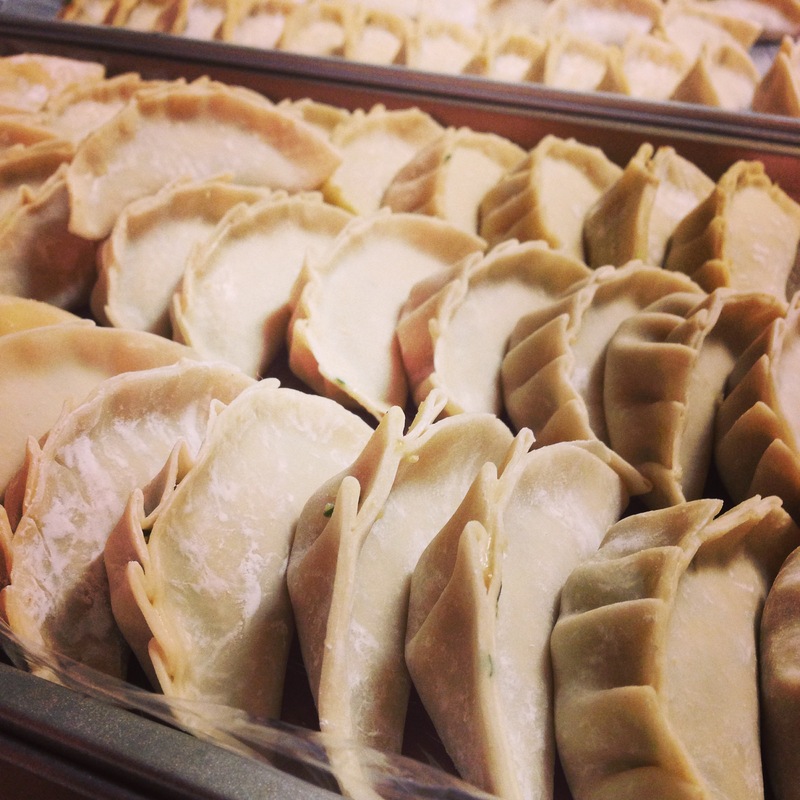 *if freezing, place dumplings in single layer on a tray and freeze the entire tray until the dumplings are frozen. Then remove them and pile them individually into a freezer bag. When I was studying in the Midwest, I used to crave the foods I had no hope of finding anywhere nearby: jiao zi, luo bo gao, dolsot bibimbap, kimchi, pho, banh xeo, bun rieu, Vietnamese cha gio…the list went on and on. 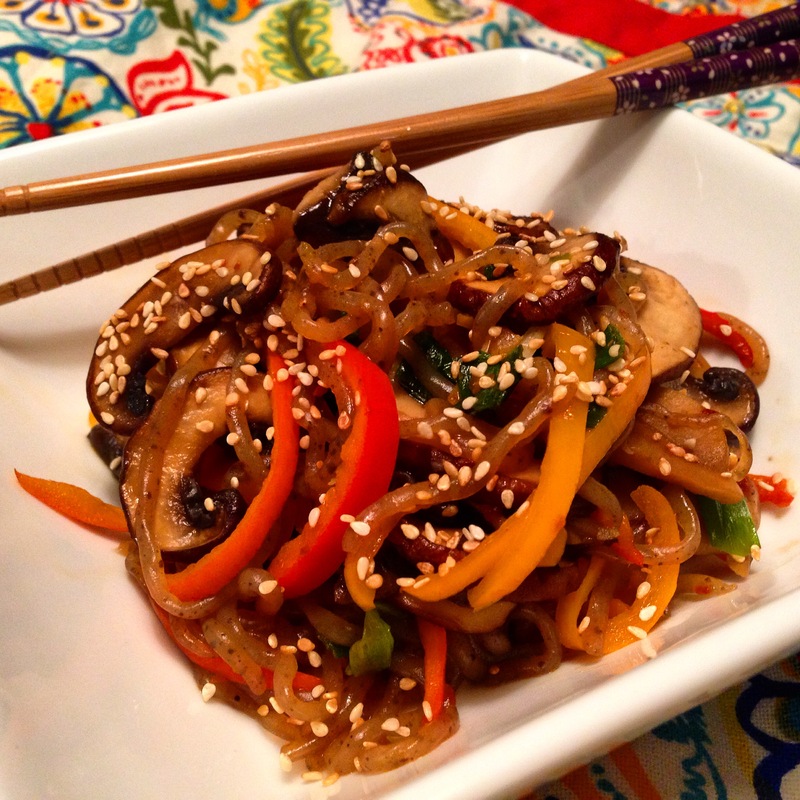 The homesickness for the diversity of Asian cuisine drove me to the kitchen, where I tried to recreate the tastes from memory and by researching the internet or cookbooks. 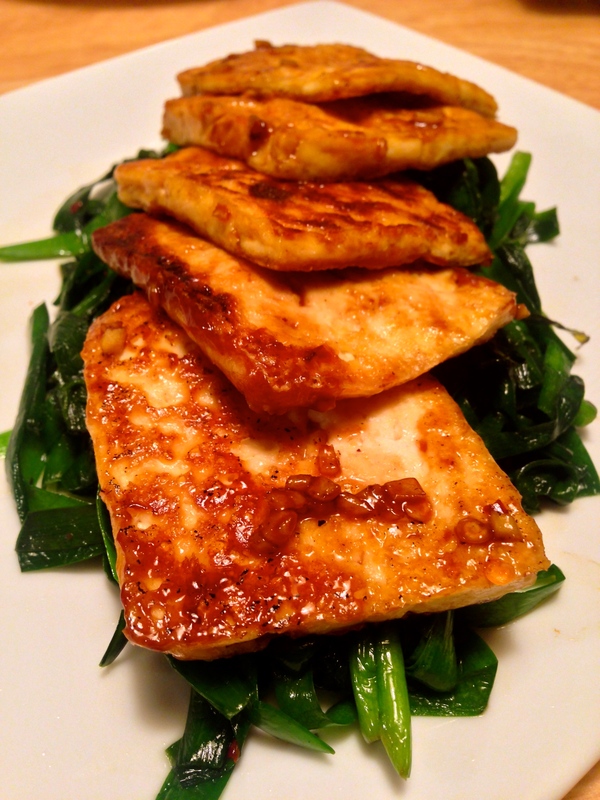 Some people received care packages with sweets and treats; my mother shipped me Asian ingredients and sent me back to school with suitcases stuffed with gai lan, which was not readily available where I was living. I still love buying and preparing Asian vegetables, which shine in the simplest of preparations. Living in a part of the country with amazing produce also helps. Inspiration is always around the corner at the next farmer’s market! I made this simple miso-glazed broiled eggplant the other night for a light dinner, and couldn’t wait until the next day to have the leftovers for lunch. Enjoy! 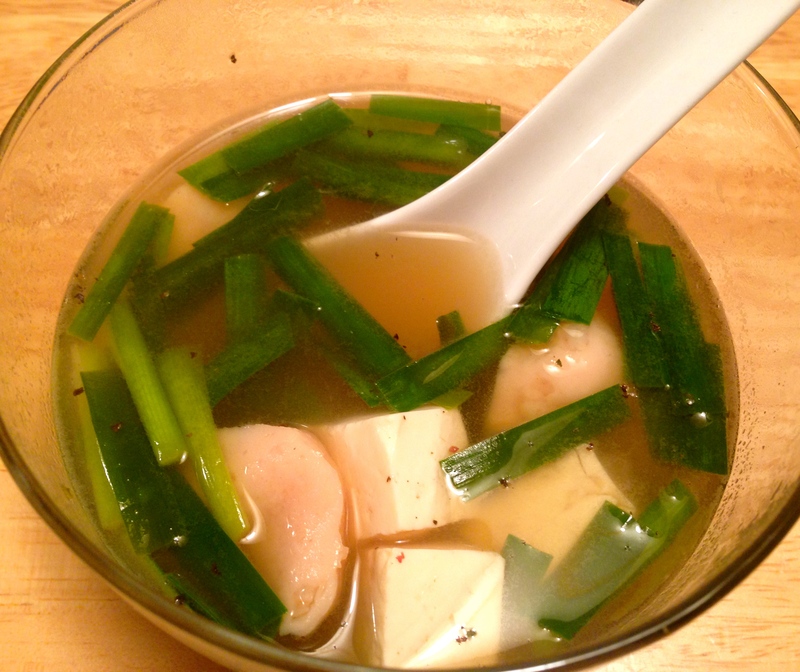 Place the mirin, sake, and sugar in a small saucepan and bring to a simmer over medium heat. Add miso and ginger and stir until smooth. Reduce heat to low and continue to cook, stirring occasionally, while you prepare the eggplants. Score the cut sides of the eggplant with diagonal cuts. Brush the cut sides of the eggplants with sesame oil. Put the eggplants cut-side down on a baking sheet and roast in the oven for about 15-20 minutes until they just start to shrivel. The flesh should be fork tender. Remove from the oven and carefully turn them over. 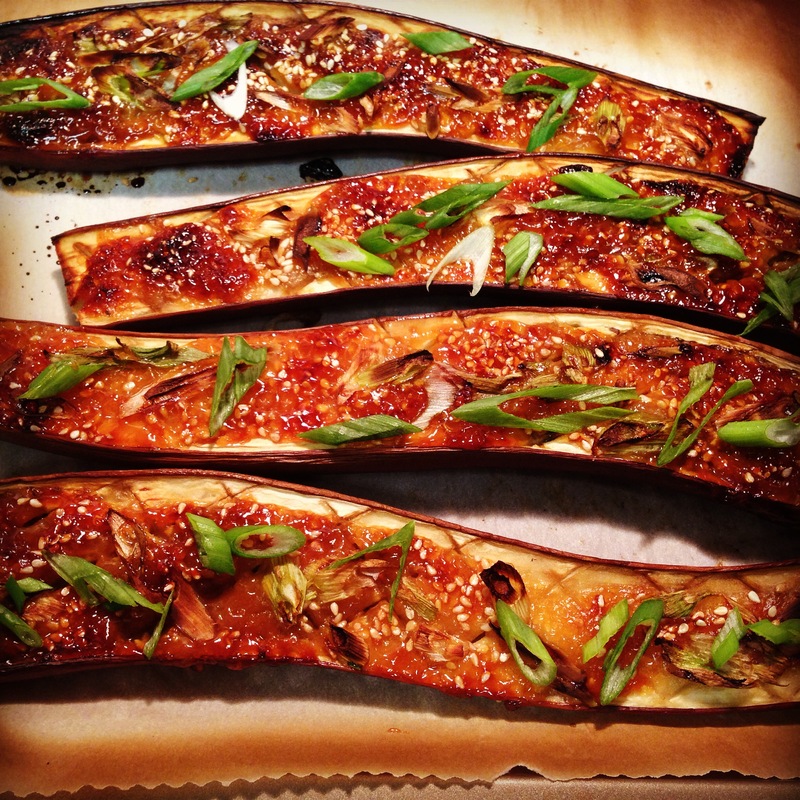 Brush the top of the eggplants with a good layer of the miso sauce (use up all the sauce!) and put them under the broiler until the sauce bubbles up and starts to caramelize, about 1-2 minutes. 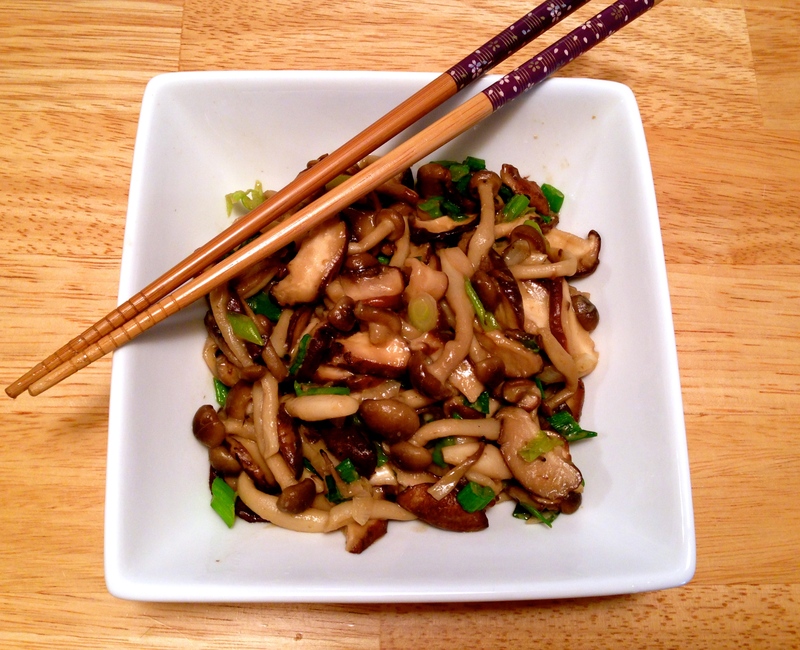 Remove from heat, garnish with toasted sesame seeds and green onions, and enjoy!